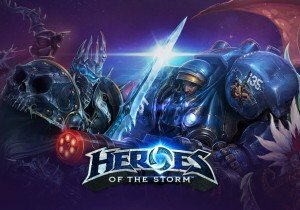 Heroes of the Storm announces Heroes Brawl, a new game mode evolved from Arena! Hammer Time: Hover tanks for everyone! All players on each team are Sgt. Hammers – with thrusters are permanently engaged! The cores are invulnerable so it’s all about capturing towers to win! Punisher Arena: Rack up points by killing enemy heroes and Punishers. The first team to score 100 points wins! Lost Cavern: A standard map, except there is only one lane. How will you fare when the enemy is in your face at all times? Heroes Brawl features three types of battlegrounds: standard with mutators, single-lane battlegrounds, and brand new arenas, all made for the mode. Each brawl offers a new hero selection mode, including presets, shuffles, and pure random. Weekly rewards will also be available! Sky Temple Arena: Capture temples and use their energy beams to destroy the enemy core! Garden Arena: Kill the Garden Terrors and Shamblers, then collect their seeds. The first team to collect 100 seeds wins! Shotgun News 10/30: STO, C&C, Hawken, and Much More! Daily dose of MMO News, October 30th 2013: STO, C&C, Hawken, and more.